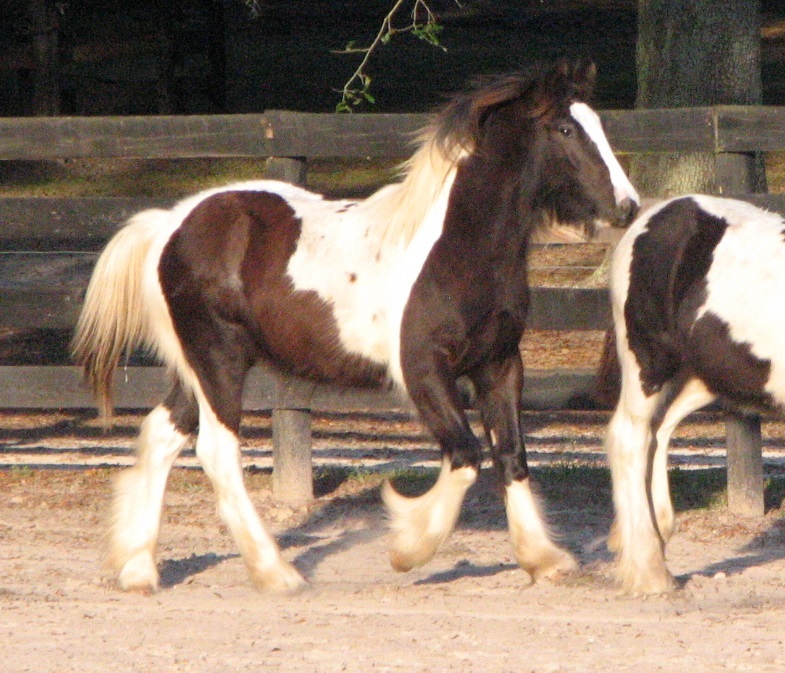 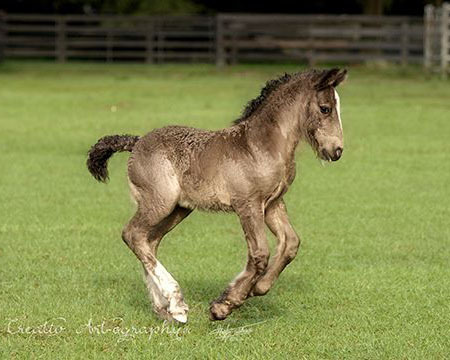 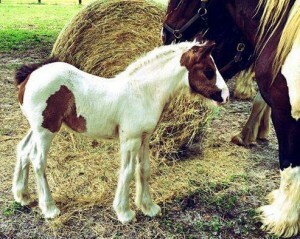 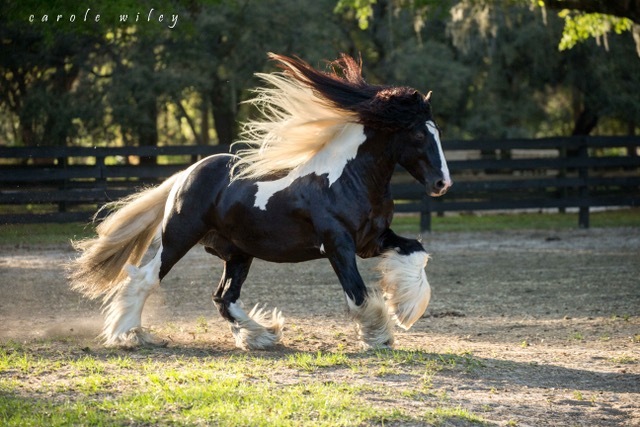 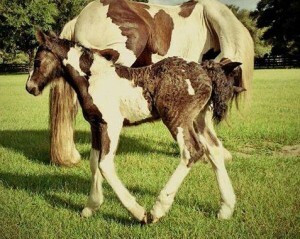 This fancy colt has an amazing pedigree to stand behind his great conformation and markings. He is by our own Drogheda Gold, who is a son of Latcho Drom and goes back to Cushti Bok and The Gypsy King. 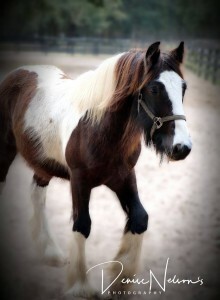 His dam is a very nice mare who was imported in-utero. 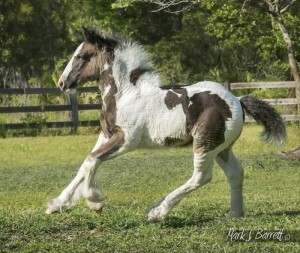 This colt has a great mind and basic baby training. 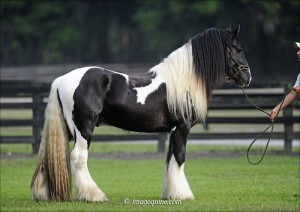 He would be excellent in any number of disciplines, and is only going to get better as he matures. “DG” stands 13.3 at 17 months and weighs 780 lbs. 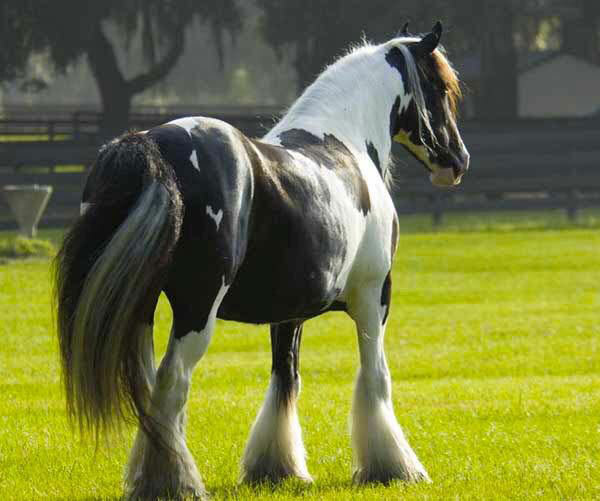 His sire stands 14hh and his dam is 14.2. 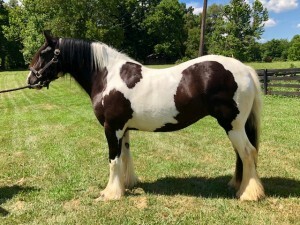 He will most likely mature inside that range.